After last Friday's thunderstorm, E+E Headliners rescheduled its event, “Locals on the Lawn,” for tonight at 7 p.m. on the South Mall. The event is free to University of Texas students with their ID. 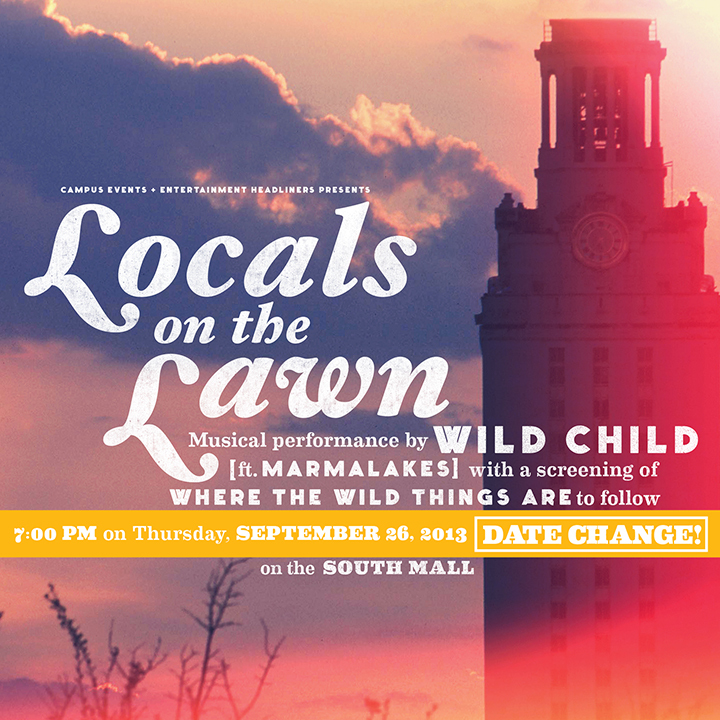 "Locals on the Lawn" will feature live performances from local Austin indie-rock bands Wild Child and Marmalakes, followed by a showing of Spike Jonze's "Where the Wild Things Are," the 2009 film adaptation of the popular children’s book by Maurice Sendak.“This is our first time playing at the University in this capacity, outside and on the lawn. This show is going to feel pretty different,” Marmalakes lead singer and guitar player Chase Weinacht says. 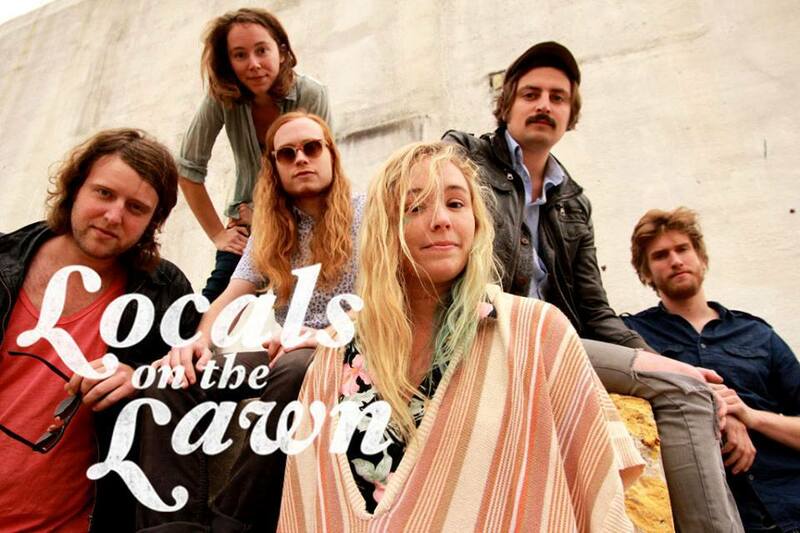 As recent UT graduates from the class of 2011, Weinacht says that he and bass guitarist Max Colonna look forward to seeing some new faces at “Locals on the Lawn,” and maybe even some old ones as well. “We’re anticipating a lot of energy, fun and hopefully a pretty big handful of new friends. We’re hoping a couple professors and TAs will make it out, too, so we can prove to them why we didn’t show up for 8 a.m.'s that time or two," Weinacht says. In addition to the free live music and the featured movie, free drinks, popcorn by Cornucopia, and E+E promotional gear will be free at the event. Headliners has also teamed up with the Campus Environmental Center to make "Locals on the Lawn" a "zero-waste event," Huggins adds. Although Headliners is currently in the early stages of planning its next program, Huggins suggests that students participate in the Headliners online survey to recommend an artist for Forty Acres Fest, the annual campus-wide festival at the end of the spring semester. The survey can be found on the E+E Facebook Page.